Dwayne Dospie and the Zydeco Hellraisers raise are set to play 8 Great Tuesdays and make it a blast. 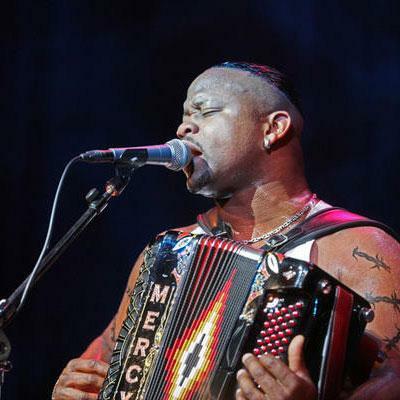 Interestingly, Dwayne Dopsie and the Zydeco Hellraisers are ranked No. 29 on LouisianaTravel.com's "Top 100 Reasons to Visit Lousiana." And they're one of this year's 8 Great reasons to head to Liberty Park's Burger King Amphitheater on a Tuesday evening. Add local favorites Sean Patrick and The Newgrass Revolution into the mix, and you've got two good (er, Great) reasons to check out July 28's installment of the free, weekly summer music series. Together, the bands will make the third week of Port Erie's 2015 concert series one to remember, adding to a sizable list that draws in thousands each week a couple of months out of every year.